! ! vintageTEK exclusive ! ! 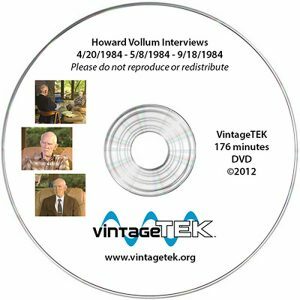 This nearly 3 hour DVD contains three inteviews with Howard Vollum filmed at his house on three separate occasions in 1984. Jim Castles interviews Howard in a casual setting about the early beginnings of Tektronix. 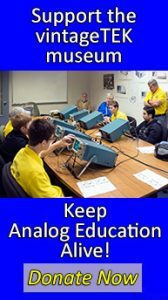 These films captured Howard's memories and were made as part of the research for the Tektronix 40th anniversary book. The original raw videos were saved and passed on to the Vollum Family where Steve Vollum edited them for this vintageTEK exclusive DVD. You can purchase the DVD on the ebay store or at the museum.